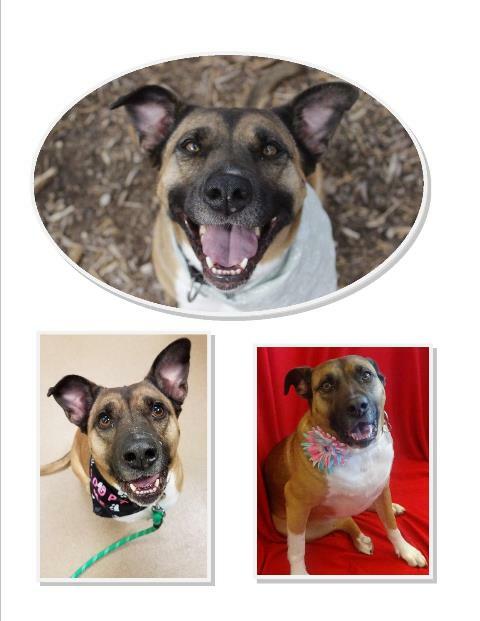 Baby Girl is a 2 year old, spayed female, Shepherd /Pit Bull that weighs 61lbs. Baby Girl is a beautiful dog! She can take a little bit to warm up yet once she does she enjoys attention, sitting pretty for a treat and being told she is adorable. She also loves to run in figure 8's, toss toys in the air and is very smart. Will Baby Girl be your perfect match? Please contact Pieloch Pet Adoption Center to arrange an interaction!